The Magna Carta is a document not for the freedom of the English people, it was to protect the barony, the feudal system itself and its hierarchy from extortion by the king. England the people would still remain under feudal oppression. To rebirth such a charter as this today would first require a rewrite, because as it stands it supports the idea that the monarch is the sole freehold proprietor, which means from top down to the freeman are protected from claims by the crown. Below the level of freeman is to live the life of a serf (one who services the debt of his master) which we can parallel to our situation today as we kneel at the mercy of commercial statutes. That is of course if you fail to understand the serious deception played against us all and claim liability for what the crown owns, your ‘Dead Trust’. In essence this document was a move to undermine the Christian Monarch and began the incorporation of the Crown as an instrument for the use of private moneylenders while keeping the Crown as front to hide this Templar takeover. The Middle Ages encompass one of the most exciting periods in English History. 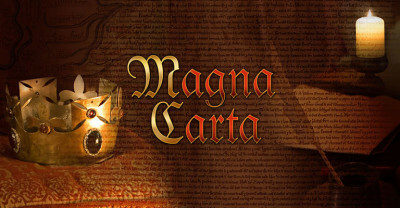 One of the most important historical events of the Medieval era is the Magna Carta. What were the key dates of this famous historical event? What were the names of the Medieval people who were involved in this historical occasion? 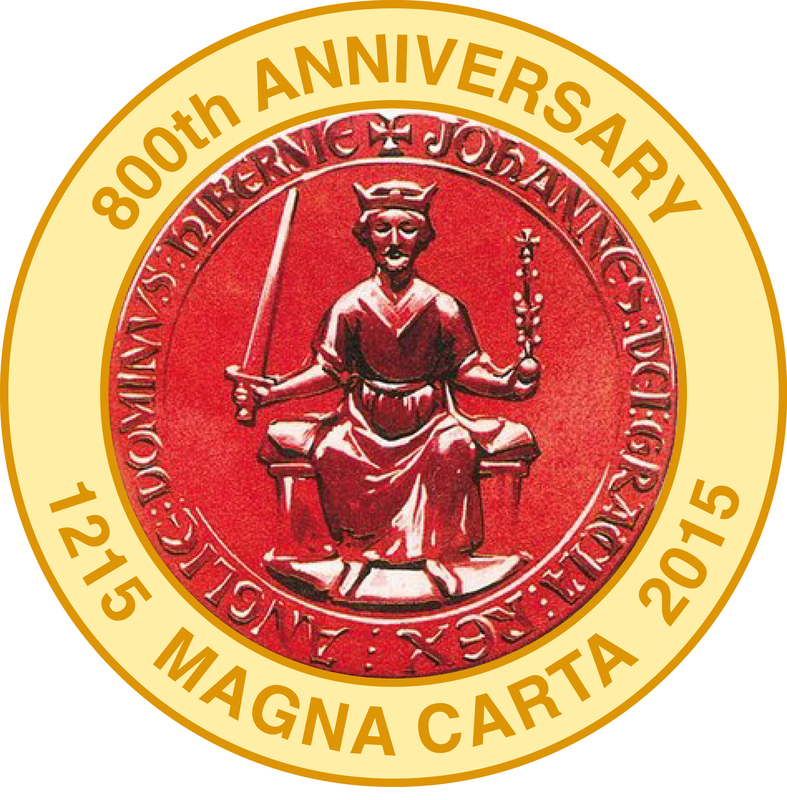 Interesting facts and information about the Magna Carta of 1215 are detailed below. What is the Magna Carta? The Magna Carta is a document that King John of England (1166- 1216) was forced into signing. King John was forced into signing the charter because it greatly reduced the power he held as the King of England and allowed for the formation of a powerful parliament. The Magna Carta became the basis for English rights down to the freeman but not for the serfs. The purpose of the Magna Carta was to curb the King and make him govern by the old English laws that had prevailed before the Normans came. The Magna Carta was a collection of 37 English laws some copied, some recollected, some old and some new. The Magna Carta demonstrated that the power of the king could be limited by a written grant. The content of the Magna Carta was drafted by Archbishop Stephen Langton and the most powerful Barons of England. King John signed the document which was originally called the Articles of the Barons on June 10, 1215. The barons renewed the Oath of Fealty to King John on June 15, 1215. The royal chancery produced a formal royal grant, based on the agreements reached at Runnymede, which became known as Magna Carta. Copies of the Magna Carta were distributed to bishops, sheriffs and other important people throughout England. Preamble : John, by the grace of God, king of England, lord of Ireland, duke of Normandy and Aquitaine, and count of Anjou, to the archbishop, bishops, abbots, earls, barons, justiciaries, foresters, sheriffs, stewards, servants, and to all his bailiffs and liege subjects, greetings. Know that, having regard to God and for the salvation of our soul, and those of all our ancestors and heirs, and unto the honour of God and the advancement of his holy Church and for the rectifying of our realm, we have granted as underwritten by advice of our venerable fathers, Stephen, archbishop of Canterbury, primate of all England and cardinal of the holy Roman Church, Henry, archbishop of Dublin, William of London, Peter of Winchester, Jocelyn of Bath and Glastonbury, Hugh of Lincoln, Walter of Worcester, William of Coventry, Benedict of Rochester, bishops; of Master Pandulf, subdeacon and member of the household of our lord the Pope, of brother Aymeric (master of the Knights of the Temple in England), and of the illustrious men William Marshal, earl of Pembroke, William, earl of Salisbury, William, earl of Warenne, William, earl of Arundel, Alan of Galloway (constable of Scotland), Waren Fitz Gerold, Peter Fitz Herbert, Hubert De Burgh (seneschal of Poitou), Hugh de Neville, Matthew Fitz Herbert, Thomas Basset, Alan Basset, Philip d’Aubigny, Robert of Roppesley, John Marshal, John Fitz Hugh, and others, our liegemen. 2. If any of our earls or barons, or others holding of us in chief by military service shall have died, and at the time of his death his heir shall be full of age and owe relief, he shall have his inheritance by the old relief, to wit, the heir or heirs of an earl, for the whole barony of an earl by £100; the heir or heirs of a baron, £100 for a whole barony; the heir or heirs of a knight, 100s, at most, and whoever owes less let him give less, according to the ancient custom of fees. 14. And for obtaining the common counsel of the kingdom anent the assessing of an aid (except in the three cases aforesaid) or of a scutage, we will cause to be summoned the archbishops, bishops, abbots, earls, and greater barons, severally by our letters; and we will moreover cause to be summoned generally, through our sheriffs and bailiffs, and others who hold of us in chief, for a fixed date, namely, after the expiry of at least forty days, and at a fixed place; and in all letters of such summons we will specify the reason of the summons. And when the summons has thus been made, the business shall proceed on the day appointed, according to the counsel of such as are present, although not all who were summoned have come. 20. A freeman shall not be amerced for a slight offense, except in accordance with the degree of the offense; and for a grave offense he shall be amerced in accordance with the gravity of the offense, yet saving always his contentment; and a merchant in the same way, saving his merchandise; and a villein shall be amerced in the same way, saving his wainage if they have fallen into our mercy: and none of the aforesaid amercements shall be imposed except by the oath of honest men of the neighbourhood. 26. If anyone holding of us a lay fief shall die, and our sheriff or bailiff shall exhibit our letters patent of summons for a debt which the deceased owed us, it shall be lawful for our sheriff or bailiff to attach and enroll the chattels of the deceased, found upon the lay fief, to the value of that debt, at the sight of law worthy men, provided always that nothing whatever be thence removed until the debt which is evident shall be fully paid to us; and the residue shall be left to the executors to fulfil the will of the deceased; and if there be nothing due from him to us, all the chattels shall go to the deceased, saving to his wife and children their reasonable shares. 35. Let there be one measure of wine throughout our whole realm; and one measure of ale; and one measure of corn, to wit, the London quarter; and one width of cloth (whether dyed, or russet, or halberget), to wit, two ells within the selvedges; of weights also let it be as of measures. 37. If anyone holds of us by fee-farm, either by socage or by bur age, or of any other land by knight’s service, we will not (by reason of that fee-farm, socage, or burgage), have the wardship of the heir, or of such land of his as if of the fief of that other; nor shall we have wardship of that fee-farm, socage, or burgage, unless such fee-farm owes knight’s service. We will not by reason of any small sergeancy which anyone may hold of us by the service of rendering to us knives, arrows, or the like, have wardship of his heir or of the land which he holds of another lord by knight’s service. 38. No bailiff for the future shall, upon his own unsupported complaint, put anyone to his law, without credible witnesses brought for this purposes. 43. If anyone holding of some escheat (such as the honour of Wallingford, Nottingham, Boulogne, Lancaster, or of other escheats which are in our hands and are baronies) shall die, his heir shall give no other relief, and perform no other service to us than he would have done to the baron if that barony had been in the baron’s hand; and we shall hold it in the same manner in which the baron held it. 47. All forests that have been made such in our time shall forthwith be disafforsted; and a similar course shall be followed with regard to river banks that have been placed â€œin defenceâ€ by us in our time. 51. As soon as peace is restored, we will banish from the kingdom all foreign born knights, crossbowmen, sergeants, and mercenary soldiers who have come with horses and arms to the kingdom’s hurt. 61. Since, moreover, for God and the amendment of our kingdom and for the better allaying of the quarrel that has arisen between us and our barons, we have granted all these concessions, desirous that they should enjoy them in complete and firm endurance forever, we give and grant to them the underwritten security, namely, that the barons choose five and twenty barons of the kingdom, whomsoever they will, who shall be bound with all their might, to observe and hold, and cause to be observed, the peace and liberties we have granted and confirmed to them by this our present Charter, so that if we, or our justiciar, or our bailiffs or any one of our officers, shall in anything be at fault towards anyone, or shall have broken any one of the articles of this peace or of this security, and the offense be notified to four barons of the foresaid five and twenty, the said four barons shall repair to us (or our justiciar, if we are out of the realm) and, laying the transgression before us, petition to have that transgression redressed without delay. And if we shall not have corrected the transgression (or, in the event of our being out of the realm, if our justiciar shall not have corrected it) within forty days, reckoning from the time it has been intimated to us (or to our justiciar, if we should be out of the realm), the four barons aforesaid shall refer that matter to the rest of the five and twenty barons, and those five and twenty barons shall, together with the community of the whole realm, distrain and distress us in all possible ways, namely, by seizing our castles, lands, possessions, and in any other way they can, until redress has been obtained as they deem fit, saving harmless our own person, and the persons of our queen and children; and when redress has been obtained, they shall resume their old relations towards us. And let whoever in the country desires it, swear to obey the orders of the said five and twenty barons for the execution of all the aforesaid matters, and along with them, to molest us to the utmost of his power; and we publicly and freely grant leave to everyone who wishes to swear, and we shall never forbid anyone to swear. All those, moreover, in the land who of themselves and of their own accord are unwilling to swear to the twenty five to help them in constraining and molesting us, we shall by our command compel the same to swear to the effect foresaid. And if any one of the five and twenty barons shall have died or departed from the land, or be incapacitated in any other manner which would prevent the foresaid provisions being carried out, those of the said twenty five barons who are left shall choose another in his place according to their own judgment, and he shall be sworn in the same way as the others. Further, in all matters, the execution of which is entrusted,to these twenty five barons, if perchance these twenty five are present and disagree about anything, or if some of them, after being summoned, are unwilling or unable to be present, that which the majority of those present ordain or command shall be held as fixed and established, exactly as if the whole twenty five had concurred in this; and the said twenty five shall swear that they will faithfully observe all that is aforesaid, and cause it to be observed with all their might. And we shall procure nothing from anyone, directly or indirectly, whereby any part of these concessions and liberties might be revoked or diminished; and if any such things has been procured, let it be void and null, and we shall never use it personally or by another. Given under our hand the above named and many others being witnesses in the meadow which is called Runnymede, between Windsor and Staines, on the fifteenth day of June, in the seventeenth year of our reign. These being witnesses, the Lord Stephen Archbishop of Canterbury, Eustace of London, Joceline of Bath, Peter of Winchester, Hugh of Lincoln, Richard of Salisbury, Benedict of Rochester, William of Worcester, John of Ely, Hugh of Hereford, Ralph of Chichester, William of Exeter, for the Bishops: the Abbot of Saint Edmundâ€™s, the Abbot of Saint Albans, the Abbot of Battle Abbey, the Abbot of Saint Augustineâ€™s Canterbury, the Abbot of Evesham, the Abbot of Westminster, the Abbot of Peterborough, the Abbot of Reading , the Abbot of Abingdon, the Abbot of Malmsbury, the Abbot of Winchcomb, the Abbot of Hyde, the Abbot of Chertsey, the Abbot of Sherburn, the Abbot of Cerne, the Abbot of Abbotsbury, the Abbot of Middleton, the Abbot of Selby, the Abbot of Whitby, the Abbot of Cirencester, Hubert de Burgh, the Kings Justiciary, Ranulph Earl of Chester and Lincoln, William Earl of Salisbury, William Earl of Warren, Gilbert de Clare, Earl of Gloucester and Hertford, William de Ferrers, Earl of Derby, William de Mandeville, Earl of Essex, Hugh le Bigod, Earl of Norfolk, William Earl of Albemarle, Humphrey Earl of Hereford, John Constable of Chester, Robert de Ros, Robert Fitz Walter, Robert de Vieuxpont, William de Brewer, Richard de Montfichet, Peter Fitz-Herbert, Matthew Fitz-Herbert, William de Albiniac, Robert Gresley, Reginald de Briose, John de Monmouth, John Fitz Alan, Hugh de Mortimer, Walter de Beauchamp, William de Saint John, Peter de Mauley, Brian de Lisle, Thomas de Muleton, Richard de Argenton, Wilfred de Neville, William Mauduit, John de Baalun. Given at Westminster, the eleventh day of February, in the ninth year of our reign. The Magna Carta is also referred to as the Great Charter of Liberties. Namely, that the barons choose any twenty-five barons of the kingdom they wish, who must with all their might observe and hold, and cause to be observed, the peace and liberties we have granted and confirmed to them by this our present Charter. Then, if we, our chief justiciar, our bailiffs or any of our officials, offend in any respect against any man, or break any of the articles of the peace or of this security, and the offence is notified to four of the said twenty-five barons, the four shall come to us or to our chief justicicar if we are absent from the kingdom’s declare the transgression and petition that we make amends without delay. So what does this all mean to the average flesh-and-blood human being? It means that despite what we are being told, there is in place a charter to protect our rights and that governments have sought to hide those rights beneath a sea of legislation and Acts of Parliament that seek only to undermine those rights. Lawful. In accordance with the law of the land; according to the law; permitted, sanctioned, or justified by law. Lawful properly implies a thing conformable to or enjoined by law; Legal, a thing in the form or after the manner of law or binding by law. A writ or warrant issuing from any court, under colour of law, is a legal process however defective. Legal looks more to the letter [form/appearance], and Lawful to the spirit [substance/content], of the law. Legal is more appropriate for conformity to positive rules of law; Lawful for accord with ethical principle. Legal imports rather that the forms [appearances] of law are observed, that the proceeding is correct in method, that rules prescribed have been obeyed; Lawful that the right is actful in substance, that moral quality is secured. Legal is the antithesis of equitable, and the equivalent of constructive. Legal matters administrate, conform to, and follow rules. They are equitable in nature and are implied (presumed) rather than actual (express). A legal process can be defective in law. This accords with the previous discussions of legal fictions and colour of law. To be legal, a matter does not follow the law. Instead, it conforms to and follows the rules or form of law. Lawful matters are ethically enjoined in the law of the land the law of the people and are actual in nature, not implied. This is why whatever true law was upheld by the organic Constitution has no bearing or authority in the present day legal courts. It is impossible for anyone in authority today to access, or even take cognisance of, true law since authority is the law of necessity,. Colour of law. The appearance or semblance, without the substance, of legal right. Misuse of power, possessed by virtue of state law and made possible only because wrongdoer is clothed with authority of state, is action taken under colour of law. Black’s Law Dictionary, Fifth Edition, page 241. The phrase law of the land and the law of the people are mentioned in this definition; this is an important point to remember as the Magna Carta upholds and supports this law of the land or law of the people and is often called Common Law. Legalese is a kind of long-winded jargon used by lawyers which it is difficult to understand. Contracts, insurance policies, and guarantees are among the documents in which you may find it. It is meant to mystify and confuse the layman and is used by those wishing to exercise control over us and to enforce a system that has become corrupt. The legal system depends on legalese to convince us that their processes are lawful and must be obeyed this is not true and a closer examination must be carried out to assure yourself that the legal system is not acting lawfully at all and remember that a legal system can be defective. Are you aware that on 7th February 2001, twenty-five Barons petitioned the Queen in accordance with clause 61 of the Magna Carta in protest of the treasonous act of the then Prime Minister, Tony Blair in signing the Treaty of Nice thus unlawfully causing the destruction of fundamental British liberties? 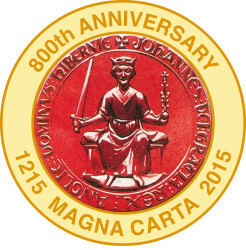 Many thousands of people have since become aware of the Lawful Rebellion that is available to them under the Magna Carta and in supporting the petition of the Barons, are themselves upholding Common Law which remains the Law of the Land these Freemen on The Land, in entering into Lawful Rebellion are themselves petitioning the Queen under clause 61 of the Magna Carta inviting Her Majesty to uphold the oath she gave at her Coronation and to protect the sovereign rights of the people. Here lies the problem : in 1936 king George took an unlawful and therefore void Coronation Oath, so too his daughter.